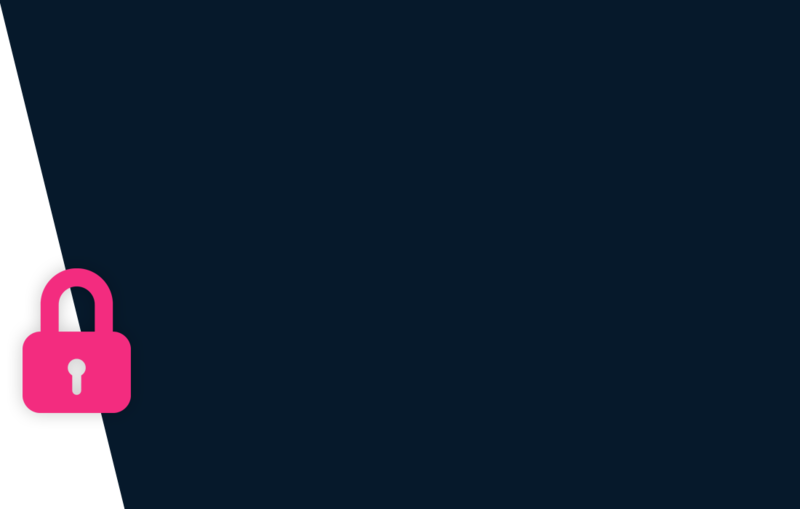 5/5 I feel DPS sector 45 is an amazing school. It focuses on practical learning - learning by doing. The science labs and the maths labs help childern to see and experience what they are suposed to learn. This rules out rote learning. I am very happy with the school. My daughter is catching on to the subjects easily and her basics and understanding of a particular topic in a subect is strong. Thanks to the teaching method of this school. 1/5 DPS SECTOR 45 is not a good option to choose for kids as the school is not having good teachers and the school diaries are not being checked by teachers nor they think to respond. The condition of toilets are worst. We always get excuses that teacher can not take care of all students in the class but my question is that why do not want to think to assign that number of kids to a teacher which she/he can manage. The attitude of principal is also very defensive and rude. She pretend to be like a mother but actually do not care. Its very tough to take appointment with the class teacher as when they have time then only they answer otherwise no use to talk with them. totally to be avoided. 2/5 A strange thing I saw in DPS, Sector 45 is that you need to mail the Principal and ask her if there are any vacancies, she will ask you which school the kid is already studying in and will answer accordingly. As mine is a transfer case, so she refused saying there are no vacancies .Also, getting a mid term admission to this school in Gurgaon is very difficult. Dps Gurgaon Sector 45 is a Private Co-Educational School located in the Sector 45 neighbourhood of Gurgaon. It is popularly referred to as DPS Sector 45 Gurgaon and is among the most coveted Gurgaon schools. You can view the exact location or driving directions of the school on the map and school pointer on it. The school was founded in 2002 and currently offers Playgroup, Nursery, Primary School, Middle School and High School. Delhi Public School Gurgaon Sector 45 is affiliated to CBSE (530405). Parveen and 42 other people have rated this school. This school was last reviewed on 30 Mar 2019 and first reviewed on 3 Nov 2014 at SchoolWiser. The overall experience with DPS Sector 45 Gurgaon based on the ratings left by users so far seems to be fair. This score is among the top 80% among other schools in gurgaon with miniumum twenty ratings available at SchoolWiser. The ratings suggest that the school offers a lot in terms of the Academic Rigour. It also scores reasonably on Campus, Teacher's Competence & Transport. Though parents may seem to have some reservation over Overall Cost. Checkout detailed ratings and reviews below for reference but do exercise your best judgement. The child needs to be minimum 2.5 Years as on 31 March 2019 to be eligible for Pre-Nursery admission. School Admissions for Pre-Nursery 2019-2020 at Delhi Public School Gurgaon Sector 45 is currently closed. School is likely to start registration process for the next academic session around Aug 2019. The school opened for Pre-Nursery School Admissions on 6 Aug 2018 and the last date for submission was 20 Aug 2018. School Admission applications can be made Offline at the school. Originals and copies of the following documents are typically required for processing application of admission: Birth Certificate, Proof of Residence and 1 Passport Size Photo. New academic session for the school starts from April. You can find further details below for reference on admission eligibility and application for Pre-Nursery and Higher Grades in the section below, but we strongly recommend that you check the school website for most accurate and up-to-date information. A detailed fee structure & complete breakup for DPS Sector 45 Gurgaon is provided below for reference. The objective of the fees details below is to provide an economic reference point for parents to understand approximate expense for this school and evaluate affordability based on their current circumstances and for the long term. 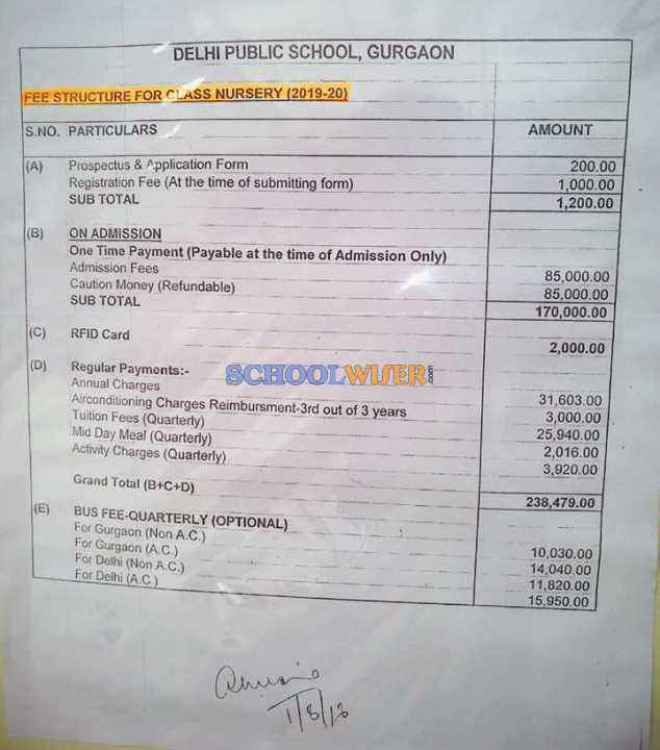 For parents admitting their children in admission session 2019-2020 at Delhi Public School Gurgaon Sector 45 the total school fees for the first year including all admission related charges for Pre-Nursery but excluding transport fees shall be around Rs.3,35,307. This includes total One-Time Admission related Charges including Refundable Security of Rs.1,71,200. For parents continuing in the school from previous years, the effective annual fees is around Rs.1,64,107 i.e. approx. Rs.13,675 per month or Rs.41,026 per quarter without transport fees. The school observed an overall fee increase of approximately 7% from the 2018-2019 session. SchoolWiser is usually one of the first places to look for breaking news on schools. DPS Gurgaon Sector 45 was most recently in the news for Class 12 CBSE results: Girls outshine boys again in Gurgaon, bag top three positions. Get all the latest news and updates at SchoolWiser. Below we have aggregated relevant recent, ongoing & past news articles from leading publications such as HT, TOI, Hindustan Times, TNN, The Tribute, Ten News, Merinews, India Today and Coca Cola India for DPS Sector 45 Gurgaon. The schools news links shall take you to originally published articles on external news sites.